Happy Wednesday! This week seems to be going so quickly! Today I have an indie brand that is new to this blog... Dandy Nails! For this swatch I have layered it over three coats of China Glaze Rose Among Thorns. As you all probably know, there are lots of black and white glitter topcoats in the market right now. In fact, I have started putting together a list so I can hunt them down and own them all! But this one is an interesting departure from the usual mix -- the glitter sizes are completely uniform in this polish. The final effect is really gorgeous due to that, I think. I love me a good bit of uniformity. Applying this polish was a little bit tricky. The glitter in Colorblind isn't super dense, so it did take a little bit of blobbing to get enough glitter on the nail to cover it. Then, once the glitter had been blobbed, I definitely did have to do a bit of pushing around. This led to a few nails with bubbling, but it was hardly noticeable in person. I purchased Colorblind from DandyNails on Etsy. It retails for $8.00 for a 15mL bottle. It is currently out of stock in the shop, but keep an eye out for a restock sometime this week! The shop has a lot of other interesting polishes, too, so make sure to browse around while you are there. This manicure is absolutely gorgeous!!! Thanks for sharing! i like this very much, especially the black and white glitter!!!! I love this!!!!!!! I need to get me some b&w glitter too!!!! 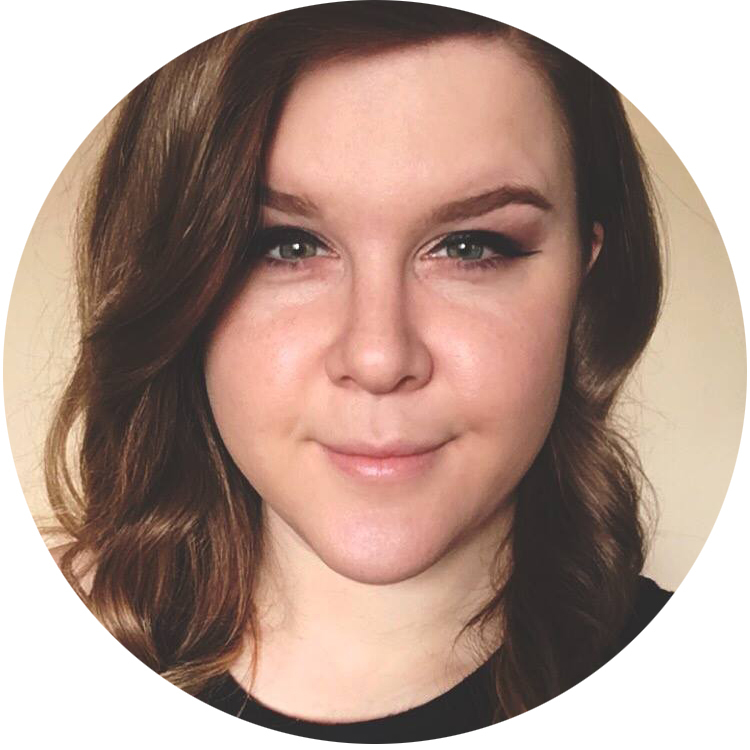 Hi I'm new to your blog! Can I just say....you are awesome! It looks cute! I have so many black and white glitters at this point that I think I can pass on this one but if I wasn't a hoarder, it would be perfect! nice choice of base color! it looks great! 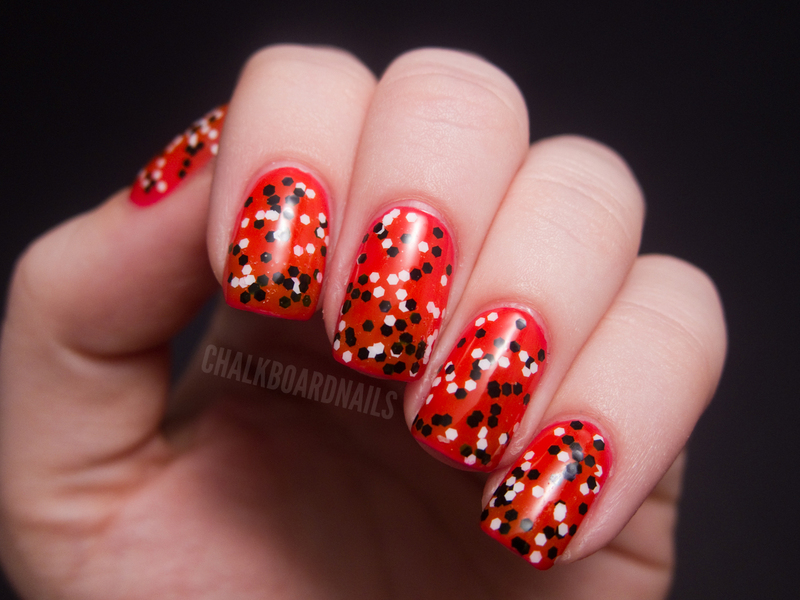 your choice of base color really makes this polish pop! Nice! It would look AMAZING with Aquadelic or For Audrey! So adorable! 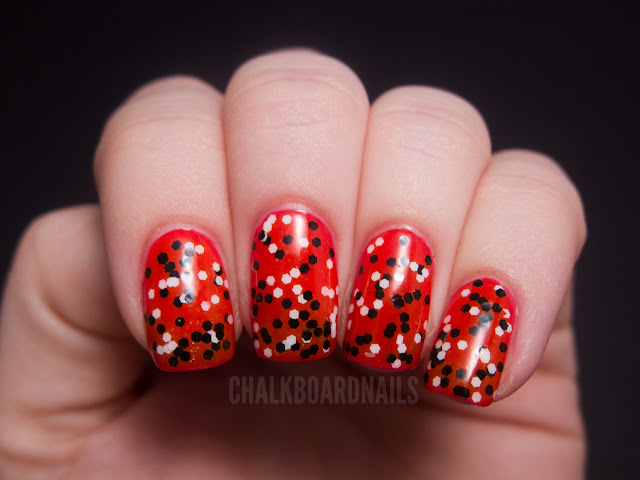 Reminds me of lady bugs! Simple yet such an impact. I love it over the red, I'd love to see how it looks on top of other colors. Uniform hex glitter in two colors? Yes please! I love it over that red, reminds me of Cruella DeVille haha. I'm with you. For a black and white combo the uniformity makes it look more sophisticated. Layered over that red it reminds me of the ladybug mani I just did. Thanks for introducing us to another fab indy polish line! This is so simple yet so unique! I love it.